[173 Pages Report] Specialty gases represent rare or ultra-high purity gases and it includes all the minor gases which are used in specialized applications. Different types of specialty gases such as high purity gases, noble gases, carbon gases, halogen gases, and other specialty gases have unique properties and thus benefit many industries, including analytical, pharmaceutical, electronics, petrochemical, etc., ultimately helping them to lower costs, improve yields, and optimize performance. The specialty gas market is experiencing strong market growth; much of this growth is due to a strong demand in its key applications like manufacturing (lighting, laser, chemicals, etc. ), electronics (semiconductor devices, flat panel display, etc. ), healthcare, academics (analytical and calibration instruments), and also automotive industry. The global market has grown significantly during the past few years mainly driven by growing demand in the Asia-Pacific region. The global market is expected to grow significantly in future boosted by growing healthcare sector and increased demand for photovoltaic cells & plasma display panels. Structural and regulatory restrictions may act as a barrier for the future growth of specialty gas industry but innovation and technological developments in the manufacture of specialty gases is expected to fade the effect of the restrictions. 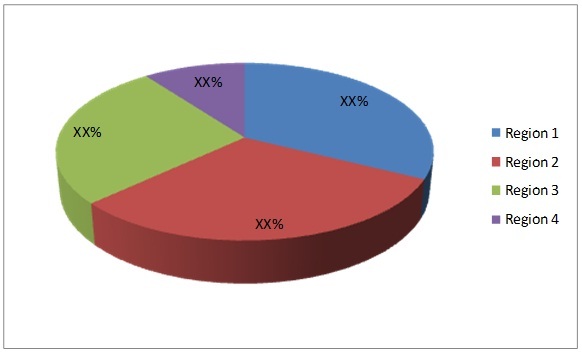 Present market consumption, industry acceptance trend, internal competition and other market issues for specialty gases like high purity gases, noble gases, carbon gases, and halogen gases; and for key consuming industries like manufacturing, electronics, healthcare, and academics have been discussed in detail in the report. This market research study provides detailed qualitative and quantitative analysis of the global specialty gas market. The report provides a comprehensive review of major market drivers, restraints, opportunities, challenges, and key issues in the market. Both top-down and bottom-up approaches are used for country level consumption estimations and confirmed with the trend of historic data, collected from different industry associations, magazines, company websites & annual reports. The primary sources – CEOs, directors, marketing & plant managers, selected experts from related industries and suppliers have been interviewed to obtain and verify critical information and to assess the future prospects of the global market. Key market participants include Praxair Incorporated (U.S.), Air Products and Chemicals (U.S.), Messer Group GmbH (Germany) etc. are profiled with their recent developments and other strategic industry activities. This research report categorizes the global market for specialty gas on the basis of types, applications and geography; forecasting revenues and analyzing trends in each of the submarkets. On the basis of types: The global market is segmented on the basis of types such as high purity, noble, carbon, halogen, and others. Each type is further described in detail in the report with revenues projected for each type. On the basis of applications: The specialty gas market is segmented on the basis of industry applications such as manufacturing, electronics, healthcare, academics, amongst others. Each application is further described in detail in the report with revenues estimated for each application. The global specialty gas market is witnessing high growth on an account of increasing applications, technological advancements, and growing demand in the Asia-Pacific region. It is a preferred and widely accepted range of gas due to its inherent properties and wide range of applications. Specialty gases consumption has grown significantly in the recent times and is at an emerging stage in various countries. Currently, North America is the largest market, acquiring more than 32.4% of the global specialty gas market. The region has huge installed plant capacities of specialty gases. This global market is emerging in various countries like China, India, South Korea, Brazil, etc. due to increasing industrial activity. Also, fast growing healthcare industry in Asia-Pacific is expected to drive the market in future. Due to rise in end-use industry growth and increase in new applications, the use of specialty gases in various industries is becoming popular. Moreover, increased demand for photovoltaic products and plasma display panels in U.S. has provided a boost to the industry. Manufacturing and electronics industry is flourishing at a fast pace in emerging economies such as: Asia-Pacific, ultimately driving demand in these regions. The key manufacturers of specialty gas such as: Praxair Incorporated (U.S.), Air Products and Chemicals (U.S.), and Messer Group GmbH (Germany), etc. are investing in expansion activities and new product launches to meet the growing demand. This report covers the global market by key regions, globally. It also provides detailed segmentation of the global market on the basis of its major types and applications, along with its estimation till 2018. 9.2 Advanced Gas Technologies Inc.
9.3 Advanced Specialty Gases Inc.
9.4 Air Products And Chemicals Inc.
9.6 E.I. DU Pont DE Nemours & CO.
9.8 Kanto Denka Kogyo Co. Ltd.
9.13 Nova Gas Technologies Inc.
9.16 Taiyo Nippon Sanso Corp.